Elin Kling and Karl Lindman's fresh new label Totême is everything. Their debut collection embodies "refined yet casual luxury" - timeless staples that I can never get enough of. On the top of my current wish list is their Chelsea coat - recently spotted (in black) on super cool babe Emily Weiss during our casual meet and greet last night. I'm obsessed with the greige shade, drop shoulders, the cozy kimono-effect, and the fact that the sash belt is set-in (separate ties tend to slide off and it constantly bugs me). 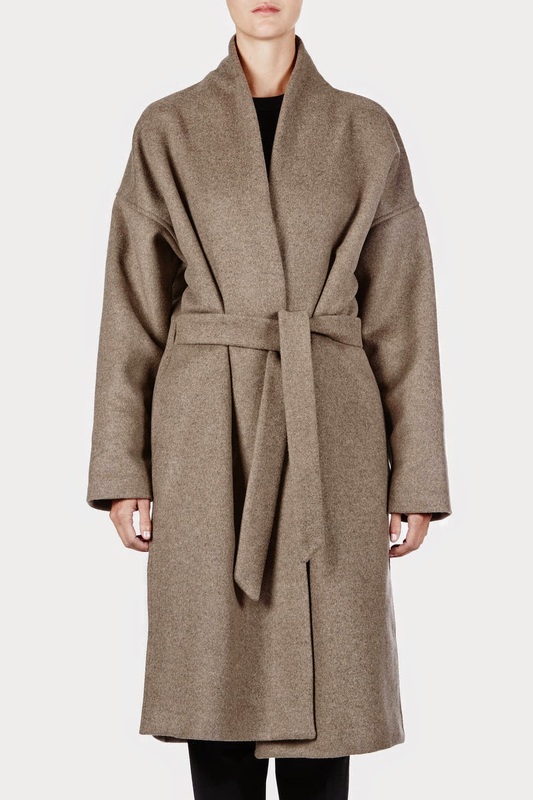 Another tiny detail that won me over is the structured simple collar - I have yet to come across a great wrap coat that doesn't have a shawl collar or over sized lapels. 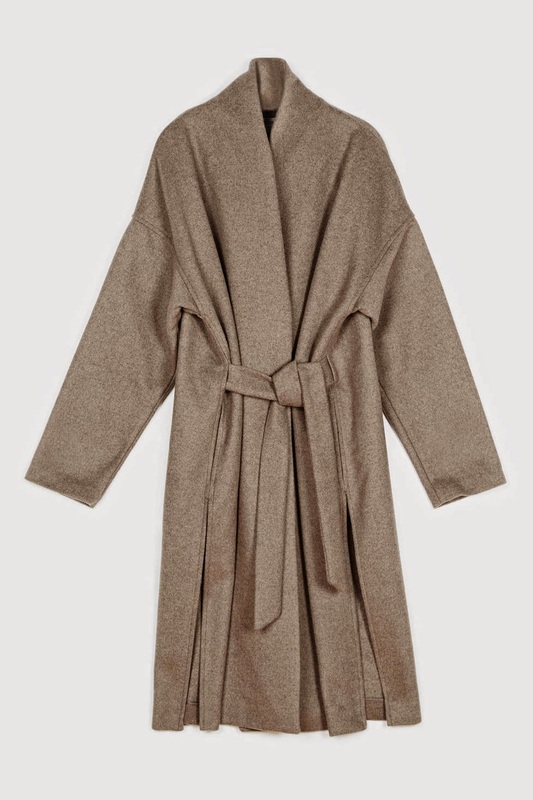 This is definitely an investment piece - one I'm willing to splurge on since it's basically my dream coat. Totême Chelsea Coat available here.